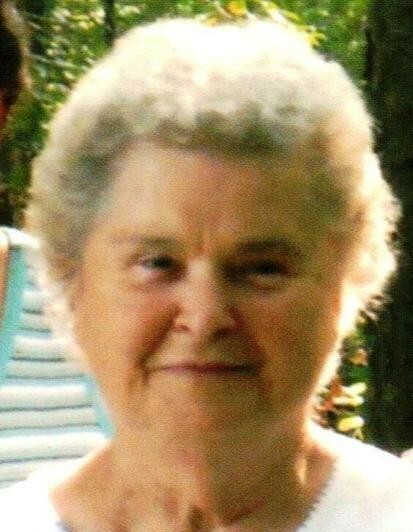 Obituary for Wanda R. Hanlon | Hile-Best Funeral Home, Inc.
Wanda R. Hanlon, 85, of Oil City, died at her residence Tuesday evening, February 5, 2019, following a period of declining health. She was born in Redbank Township, Armstrong County on June 19, 1933 to the late William I. and Rosie G. (Markle) Shick. She volunteered with the Meals-on-Wheels program; and was a longtime member of Bethel United Methodist Church in Oil City, where she assisted with church dinners, and taught Sunday school for many years. Wanda enjoyed gardening, crocheting, reading, and will be fondly remembered as being a great cook. In her earlier years, she worked at the Clarion Glass Plant, and later in the cafeteria at Oil City Junior High School. She was a dedicated homemaker to her family. She was married in Rimersburg on April 4, 1953 to James D. Hanlon, and he preceded her in death on February 24, 2008. Surviving are five children: Karen Wakulin and husband Nick of Erie, Randy Hanlon, Deb Murray and husband Bob, Rose Dempsey and husband Dave, all of Oil City, and Lisa Turner and husband Rich of Virginia; eleven grandchildren: Jamie Weaver and husband Kevin, Joshua Wakulin, Jason Murray and wife Erin, Dawn Williams and husband Scott, Timothy Wakulin, Jessica Collins and husband Jeff, Matthew Dempsey and wife Autumn, Ryan Murray and wife Shaina, Kari Kim and husband John, Jonathan Hanlon, and Benjamin Dempsey; and 15 great-grandchildren and 2 great-great-grandchildren. Also surviving is a sister, Colleen Bish of Knox; a brother, Turney Shick and wife Bev of Rimersburg; and numerous nieces and nephews. In addition to her parents and husband, she was preceded in death by a great-grandson, Mason Kim; and a sister, Peggy Doverspike. Friends and family will be received Friday (Feb. 8th) from 3 - 5 p.m. in the Hile-Best Funeral Home, 2781 Rte. 257 in Seneca, Cranberry Township, where the funeral service will follow Friday at 5 p.m. with Rev. Julie Kolacz, pastor of Bethel United Methodist Church, officiating. Private interment will be in Brandon Cemetery in Cranberry. Memorial contributions may be made to Bethel U.M. Church, 486 Colbert Ave., Oil City, PA 16301.